In today’s post, we’ve got the real experts – makeup artists – sharing bridal skincare routines. Get regular facials 6 months before your wedding date stopping 2weeks to the wedding date. Skincare doesn’t have to be expensive but it does have to be routine and right for you. I love serums right now and The Ordinary is an amazing range. The Hyaluronic acid is a must. For breakouts their Salycillic acid is great. The Glycolic toner for nighttime after cleansing. For a super gentle cleanse I’d recommend a cleansing balm – expensive is Emma Hardie Moringa cleansing balm or cheaper is Nip & Fab Deep Cleansing Fix. All on Cloud10. A daily exfoliator to be left in the shower is Johnson’s clean and clear daily exfoliator. It’s never too soon to start your wedding skincare prep. The better prepped the skin is, the better the makeup will look, the better it will sit on the skin and the better it will last throughout the day. When you’re planning your dress, plan your skincare routine as well. Have a consultation with a beautician and work out a regime that best suits your skin type in order to tackle any concerns. Facials and Microneedling facials are fantastic for prepping the skin to help achieve the bridal glow. Lots of products such as serums and moisturisers include hyaluronic in them, which is ideal to help pump moisture into the skin as well as soften lines. And don’t forget the all important 2 litres of water a day! I would always recommend a Bride to do a nice natural face scrub every week or 2 for the months coming up to the big day. Mixing coconut oil and brown sugar (white sugar for the lips) and scrub in small circular motions around face, neck and lips. Beautiful, natural and cheap what more could you ask for. There are a number of great skincare products on the market, l would always recommend to use as natural as possible with no parabens. I would always advise to get recommendations of the right product for your skin type as you could be spending and not seeing the results. I recommend to drink lots and lots of water. This will not only keep your skin clear, but also keep it hydrated and supple. Make sure you are cleansing your skin morning and night and following up with a moisturiser suitable to your skin type. In the lead up to the day, don’t try new facials or new skincare products in case of a reaction – start this process 6-8months out and consult your facialist or dermatologist. On the morning of your wedding after cleansing your skin apply a light moisturise that won’t leave a reside as this can affect the makeup. Professional facials once a month ,6 months to a year before the wedding, while at home, keep a good routine going day and night, exfoliate once a week, keep body and skin hydrated. 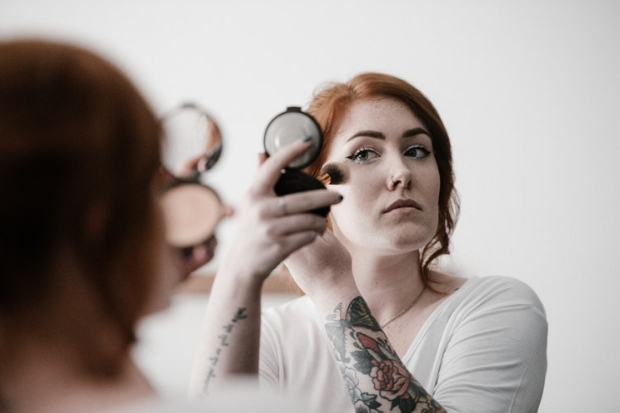 Your skin will be the base to your overall bridal look, so you’ll want to make it the freshest most radiant canvas possible. I recommend booking a consultation with a skin professional and starting a smart skincare routine about a year in advance. That may seem like an excessive timeline but it allows the time for any corrective work to be done, for example re-texturing the surface of the skin if it’s uneven, addressing any congestion or pigmentation. It’s honestly never too early to begin prepping your complexion for wedding radiance. 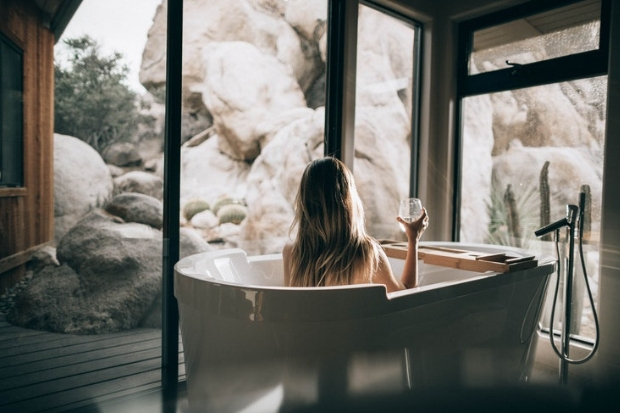 Alongside your daily skincare routine, pamper yourself with a course of glow boosting facials every 4-6 weeks, the massaging of the skin, scalp anddécolletage will stimulate blood circulation and get your skin looking and feeling really healthy. It’s an investment you’ll be glad you made when you look back at your pictures. Remember to also think of looking after your skin from the inside out. Get a good multi-vitamin supplement, a high dosage Vitamin C and also some Omegas that will help keep your skin soft and smooth.If you aren’t having the correct amount of nutrients that your body needs, it will show in your hair, skin and nails. And finally it’s easier to prevent your lips from getting chapped than it is to repair them if they’re already dry and cracked. If you spend lots of time outdoors, especially in windy, sunny or cold weather, a thick balm with SPF 30 will keep your lips hydrated. I’d recommend that you start getting facials, one a month if possible, beautiful skin means beautiful Makeup but make sure and stop these about 4 weeks before the big day. Don’t use face wipes, they dehydrate the skin and invest in a good Cream Cleanser, toner, Day and night cream, and eye cream. I’m a huge fan of Shiseido and recommend their Ibuki Cleanser. Ibuki Toner (Softener), Bio Performance Day and Night Cream and Bio Eye Cream.